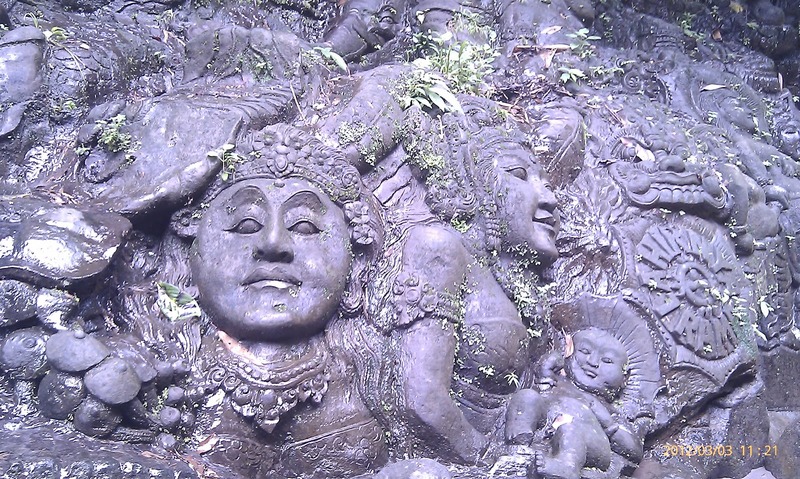 Here's just some brief tips and a general overview on Bali, which is an Indonesian island. When you book an airline ticket, it'll have the city, Denpasar Bali, Indonesia noted on your itinerary. Contrary to what I actually first thought, there seems to be no town in Bali called Bali, rather it is the entire island that is called Bali. Anyway, I'm going to run you through what the visa process is currently like, and the exit procedures. They are building a new airport which looks set to be completed in the next few years. It'll be a very modern airport compared to the present one, so it'll be exciting to see how that finishes. 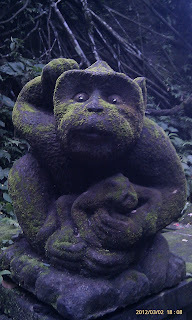 I'll also be detailing some of the places around Bali that you can check out and some things you can do. I won't bore you with the steps taken for me to get on the plane towards Bali, rather I'll focus on what you do when you're in Bali and leaving it. (please click on the tag 'travel tips' to read about departing/ entering Singapore Changi airport). Turn left and buy a Visa on Arrival (VOA)* - After disembarking off the plane, you will need to buy a Visa-On-Arrival (it is currently 25 USD). This gives you 30 days in Indonesia and they will give you a receipt for this. With receipt wait in line to enter Bali (immigration) - This will be on your right, and you'll see big signs there. Here they will view your receipt, check and stamp your passport. I actually skipped step 2 and ended paying the immigrations officer a little bit more for the visa. But if you're traveling for work and to get a receipt, you go through the right procedure as described in step 2. Go through customs and security - I don't remember taking off my belt here, so you just put your luggage into the conveyer belt and it'll go through the security scanner. You are in Bali! - Congratulations you are in Bali! *Visa On Arrival (VOA) varies depending on where your passport is from. Please check http://www.embassyofindonesia.org/consular/voa.htm website to see if you're eligible for a VOA. Visitors from some SEA (South East Asian) countries do not need visas are as follows: Brunei Darussalam, Chile, Hong Kong SAR (Special Administration Region), Macao SAR, Malaysia, Maroco, Peru, Philippines, Singapore, Thailand, Vietnam, Equador. There are quite a few places to go to in Bali depending on your interests and tastes. Everywhere you go you'll get asked if you'd like a massage and if you need a taxi. You'll see rice fields everywhere and can hire a motorbike (my favourite thing there!). Common tourist places are the beach area (Kuta, Seminyak), mountains (Ubud). But I'd recommend a cycling tour or what they seem to love doing there is whitewater rafting - be mindful of the time of year you go though as the waterfalls can be too easy. You can pay to jump onto a boat and head off to some not so traveled places as well. You can choose a slow boat or fast boat there where I believe the difference is between 12 hours for the fast boat and 3-5 hours for the slow - basically faster is probably better. Here you can check out islands like Gili and Lombak which I hear are the places to go! 50,000 rupiah (equivalent to $5 USD) a day - hire a motorbike - Tip - bargain so you get insurance included. 4,500 rupiah - for a litre of petrol - gets you very far! Security check - This is the first airport like this, but before being able to check in. You'll have to go through a security check and you'll need to have your passport and boarding pass to go it. This is a time to say goodbye to friends and family that are not traveling with you. Check in - Check in as per usual. Pay departure tax (exit fee) - Again, this is the first airport I've been too that has this. You'll go through these booths where you'll pay 150k Indonesia Rupiah. You'll get a receipt and sticker for this which is attached for your ticket. It's generally advisable to have the right change here, though I do believe they can provide some change. Immigration - You go through immigrations now providing your passport, boarding pass and the receipt for the exit fee. Find gate entrance - Walk around and find your boarding gate. Security check - Go through a security check where you'll need to show your passport and ticket. Get to the gate waiting area - You'll find yourself in a waiting area which normally more than one gate. For example, gates 1, 2, 3 waiting area. Thanks for sharing these tips and also for giving us an overview about Bali. I'll keep all of these in mind!